The draft is now just a few days away, suspense is building and Agree to Disagree is back with Positional Rankings starting with the Quarterbacks. 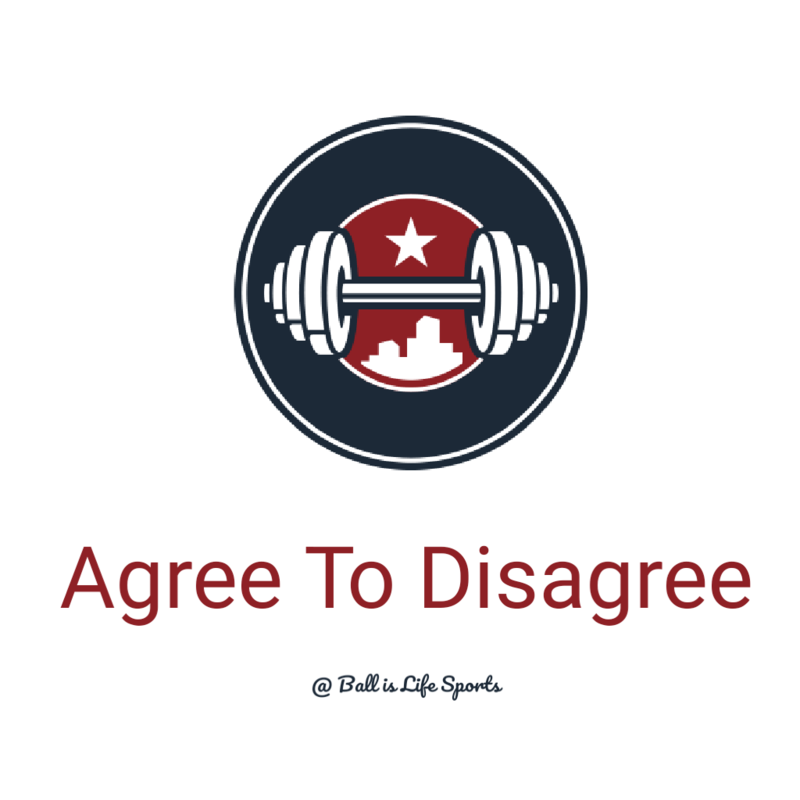 This week rabbid Eagles fan, NFL savant, and official co-host of Agree to Disagree, Justin Polasek joins us. Let me start by saying I feel there is very little separation between the top three here, I have Darnold number one because I believe in his ability to create from the pocket regardless of protection. He has a track record of getting the best out of those around him and checks all of the arm talent boxes. He has to get turnovers under control, but if he does, he will will be a star in this league for a decade. Rosen is the best pure passer of the last two draft classes. And I refuse to listen to this nonsense that his personality will be a hindrance. What will hurt him is his slow feet, tendency to hold the ball too long, slight frame and injury history. If Mayfield were three inches taller and didn't have an arrest video, he would be the top prospect since Andrew Luck. The more I watch the 2017 Heisman trophy winner the more I'm tempted move him up to #1 on this list. Jackson has Mike Vick potential, he is that dynamic. However he has alot of work to as a passer, and has done himself exactly zero favors during the pre draft process. While I don't think it will do him long term harm, he is very likely going to slide on draft day. Allen is a bit a conundrum to me. He is a great kid, good attitude, hard worker, plays very hard, but he looked very inaccurate last season. Situation will make all the difference in his case. If he is allowed to sit and apply that strong work ethic to fixing his play, he will have a strong opportunity to be the best QB in this class. If he is rushed in to action, he will likely falter. Mason Rudolph lacks top end arm talent or athletic ability, but he does have premier size, a track record of stellar play, good intangibles, and above average accuracy. He projects as very good backup on the low-end and a solid starter on the high. Josh Allen, to me, has the most potential of all the QB's in this draft. Ignore the stats, this man can play! He needs to get better footwork to consistently throw accurately, but that can easily be fixed. He has the mind set and work ethic to fix it. I believe he will and go on to be one of the better QB's in the league. Darnold is #2 for me because he has a bad habit of staring down his first read and forcing his throw. That won't work in the NFL, he's going to have to learn to work through his progressions. That said, he can throw a ball through a straw at 30 yards. Rosen may be the best pocket QB in this draft. That said, he doesn't have the legs that the guys above him have and his leadership has been questioned. It's hard to win championships if you don't have your teammates willing to put it all on the line for you. Mayfield doesnt have the desired height at 6'1", but he is an exceptional talent, who has very good mobility and plus accuracy. He is a fiery competitor and his teammates rally around him. The problem is that he's a little too fiery. He's been in trouble with the law and even charged with resisting arrest. Lamar Jackson is a really good player and should be a starter in the NFL. He's got the ability to be better than Mike Vick. I have him at #5 because of the mental. Refusing to meet with teams, work out for them, run at the combine, or even eat dinner with them is not a good way to pass a job interview.